NEW DELHI: Kane Williamson has steered Sunrisers Hyderabad to the top of the Indian Premier League table since the New Zealander was elevated to captain in the absence of scandal-tained David Warner. 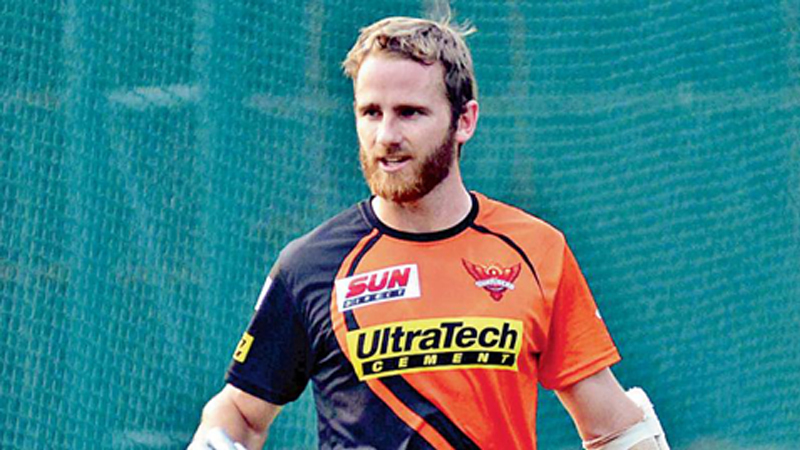 Williamson, the only foreign captain in this season’s edition of the lucrative franchise, has ensured an unbeaten run for Hyderabad in the first three games of the Twenty20 league. The Kiwi cuts a much lower profile than Warner but has notched 92 runs in the Sunrisers’ three matches, including a fifty in their win over Kolkata Knight Riders on Saturday. Williamson was a last-minute replacement for Warner after the high-profile Australian was banned from the IPL over the South Africa ball-tampering scandal. Australian skipper Steve Smith – another big ticket name for the IPL – was also dropped as captain of the Rajasthan Royals. The cheating row, so close to the IPL season launch, threatened to sully the billion-dollar franchise. But the glitzy tournament is already earning its reputation with close finishes and big hits in steady supply just a few weeks into the world’s most popular T20 league. “All the eight teams are striving for that extra “one-percenters’ that can make the difference between winning and losing,” former South Africa all-rounder Jacques Kallis wrote in The Times of India newspaper. “On many occasions in the past ten years I have made the point that the difference between the top team and the bottom team in the IPL is smaller than any other cricket league in the world,” said Kallis, who advises the Knight Riders. Gayle was only selected in the third round of IPL bidding, picked up by Punjab for just $314,000 in the January auctions that saw rookies going for more than $1 million. But the West Indian did not disappoint, smashing 63 off 33 balls in his opener for the Kings XI. Gayle hit 7 fours and 4 sixes as Kings XI defeated Chennai Super Kings by four runs and cruised into second place on the IPL ladder. “It’s good to be back,” the 38-year-old big hitter said after Punjab’s win. Other standout performances include a 14-ball fifty – the fastest in IPL history – by Punjab opener Lokesh Rahul and some entertaining knocks by Knight Riders batsman Andre Russell and England’s Jason Roy for Delhi Daredevils.